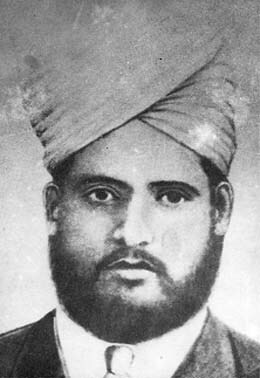 Do distant relatives of Shaheed Udham Singh really deserve to be honoured at the state-level function, organised every year by the Punjab Government on his martyrdom day on July 31 at Sunam? This question arises in view of a practice that has been in place for many years. Bachan Singh, Inder Singh, Khushi Nand and Inder Kaur, all children of Aas Kaur, a distant cousin of Shaheed Udham Singh, used to be honoured at state-level functions held by former Punjab Chief Minister Parkash Singh Badal during the SAD-BJP regime. After coming to power in 2002, state Chief Minister Capt Amarinder Singh too has continued with the practice. At the martyrdom day function last year, in addition to honouring these four distant relatives of the martyr, Capt Amarinder Singh even announced government jobs for the family members of two of them. The jobs would be given to a grandson each of Khushi Nand and Inder Kaur, as per the official announcement. According to family history, Shaheed Udham Singh and Aas Kaur had the same paternal greatgrand father, Jodha. So, should Aas Kaur’s children really reap these benefits of the martyr’s legacy even when they are related to him so distantly? In a bid to cash in on this lineage, now Inder Singh and Bachan Singh too have staked a claim to government jobs for their kith and kin in a request made to the Sangrur Deputy Commissioner S.R. Ladhar. The district administration has thus written to the state government in this regard, keeping in mind the fact that the kin of Inder Kaur and Khushi Nand have already been given government jobs. The growing popularity of ayurveda in Europe and other western countries can be judged from the fact that it finds takers not just among commoners but even practitioners of the allopathic system of medicine there. This was borne out during a recent visit to Romania by Dr Sanjeev Sood, a Reader in ayurvedic medicine at the Jalandhar-based Dayanand Ayurvedic College, for a two-and-half- month long programme to teach ayurveda to allopaths and other doctors there. Most of his students were already postgraduates in various streams of medicine. “The Romanian doctors were so keen to learn about ayurveda that half of them had already acquired in-depth knowledge about ayurveda and various Indian herbs. The most intriguing thing was that they were able to describe the names and properties of more than 250 Romanian herbs on the basis of ayurvedic principles,” says Dr Sood. During his stay in Romania, he travelled extensively, soaking in the culture of its various cities, before leaving for Holland, where another ayurveda-teaching assignment awaited him. herbs are available in the country,” says Dr Sood, who was invited by the Medical Association of Romania. His visit was facilitated by Pentabox and Medirom, well-known Indian and Romanian ayurvedic companies, respectively. He says the Director of DAV Colleges, Principal D.R. Gupta, and head of Dayanand Ayurvedic College Dr Rajkumar Sharma made his trip possible. A group of doctors from Romania, who are interested in studying ayurveda, are likely to visit the college shortly. Prof Indu Grover of the College of Home Science, Haryana Agricultural University, Hisar, has bagged two prestigious assignments, one from the World Bank and the other under the 11th Five Year Plan. Dr Grover has been selected as a Review Editor for a global report of the International Assessment of Agricultural Science and Technology for Development (IAASTD) under a World Bank project. According to a communication received from the IAASTD bureau, Dr Grover was selected from a pool of candidates to work on IAASTD’s East and South Asia and the Pacific (ESAP) assessment report. The IAASTD is an inter-governmental endeavour co-sponsored by the Food and Agricultural Organisation of the UN, the Global Environment Facility, the UN Development Programme, the UN Environment Programme, UNESCO, the WHO and the World Bank and is advised by a multi-stakeholder bureau. Besides, in pursuance of an order of the Planning Commission to the Indian Council of Agricultural Research (ICAR) to constitute a working group on agricultural research and education for the 11th Five Year Plan, Dr Grover has been nominated as a member in the sub-group on organisation, finance and management. She is the only woman member to be nominated from the state agricultural universities across the country. 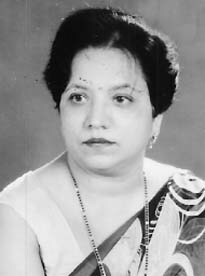 Dr Grover, who has also served as the Dean, College of Home Science, HAU, has 12 publications to her credit. She has also been honoured with several prestigious national and international awards.